1. Pearlstein, E., M. Hughs, J. Mazurek, K. McGraw, C. Pesme, and M. Garcia-Garibay, 2014, Correlations between photochemical damage and UV fluorescence of feathers, ICOM-CC 17th Triennial Conference, Melbourne, Australia September 15-19, 2014, Preprints, abstracted accepted, paper under review. 2.Pearlstein, E., 2014, Displaying feathers, what history tells us, in Images Take Flight; Feather Art in Mexico and Europe, Alessandra Russo, Gerhard Wolf, Diana Fanes, eds., Chicago: University of Chicago Press in collaboration with the Kunsthistorisches Institut-Max-Planck Institut in Florence and the Museo Nacional de Arte (MUNAL) in Mexico City, in press. 3.Robin O'Hern, Ellen Pearlstein and Susan Elizabeth Gagliardi, 2014, Beyond the Surface: Where Cultural Contexts and Scientific Analyses Meet in the Conservation of Komo Helmet Masks in Museum Collections, Museum Anthropology, paper under review. of the Institute of Conservation, 36:2, 109-124. 5.Riedler, R., C. Pesme, J. Druzik, M. Gleeson, and E. Pearlstein, 2014, A review of color producing mechanisms in feathers and their influence on preventive conservation strategies, Journal of the American Institute for Conservation, 53:1, 44-65. 6.Pearlstein, E., and D. Lohnas, 2013, Conservation outreach materials for a tribal museum without conservators, Playing to the Galleries and Engaging New Audiences: the public face of conservation, London: Archetype Publications, 222-231. 7.Kaplan, E., Howe, E. Pearlstein, E., and Levinson, J. 2013, The Qero Project: Conservation and Science Collaboration Over Time, Postprints of the Research and Technical Studies Group, American Institute for Conservation. 8.Gleeson, M., Pearlstein, E., Marshall, B., and Riedler, R. 2012. California featherwork: considerations for examination and preservation. Museum Anthropology, 35 (2) 101–114. 9.de Alarcon , T., Ohern, R., Pearlstein, E. 2012, Case Studies in Basketry Repair: Two Abenaki Splint Baskets, Journal of the American Institute for Conservation, 51:123–143. 10.Pearlstein, E. and Gleeson, M., 2012, Developing a technical and condition database for California Native American featherwork, Sharing Conservation, Eds. Cristina D'Andrea, Ufficio Pubblicazioni Musei Vaticani, and Daniela Rullo, Gruppo Italiano dell’International Institute for Conservation (IGIIC). 11.Riedler, R., Pearlstein, E., Gleeson, M. 2012 Featherwork- Beyond decorative, Contributions to the Vienna Congress, London: Maney & Sons Publishers, S244-S249. 12.Pearlstein, E., Gleeson, M., Riedler, R., 2012, Developing a technical and condition database for California Native American featherwork, Collection Forum, 26 (Issues 1/2) 12-30. 13.Pearlstein, E., Riedler, R., Gleeson, M., Druzik, J., Pesme C., 2011, Collaborations in the study of Native California featherwork, ICOM-CC 16th Triennial Conference, Lisbon, Portugal, September 19-23, 2011, Preprints, London: James and James. 15.Pearlstein, E. and Keene, L., 2010, Evaluating Color and Fading of Red-Shafted Flicker (Colaptes auratus cafer) Feathers: Technical and Cultural Considerations, Studies in Conservation,55. 16.Pearlstein, E., 2010, Conservation and Preservation of Museum Objects, Encyclopedia of Library and Information Sciences, Dr. Marcia J. Bates and Dr. Mary Niles Maack, editors, New York: Taylor and Francis Group LLC. 17.Pearlstein, E., 2010, Restoring Provenance to a Native American Feather Blanket, Museum Management and Curatorship, 24:2. 18.Pearlstein, E., Brostoff, L., Trentelman, K., February 2009, A Technical Study of the Rosebud Winter Count, Plains Anthropologist, 54, no. 209. 19.Pearlstein, E., Gleeson, M. 2009 Teaching Preservation of Tribal Collections in a Blended Format, International Council on Museums, Conservation Committee, Ethnographic Working Group Newsletter 30, 10-12. (Newsletter article). 20.E. Pearlstein, 2008, Collaborative Conservation Education: The UCLA/Getty Program and the Agua Caliente Cultural Museum, publication of proceedings of Symposium 2007: Preserving Aboriginal Heritage – Technical and Traditional Approaches, Dignard, Carole; Helwig, Kate; Mason, Janet; Nanowin, Kathy; Stone, Thomas, eds. Canadian Conservation Institute, Ottawa, 305-310. 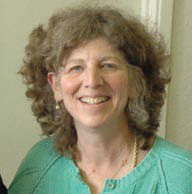 2009, Sheldon and Caroline Keck Award for distinguished teaching and mentoring in the field of Conservation.